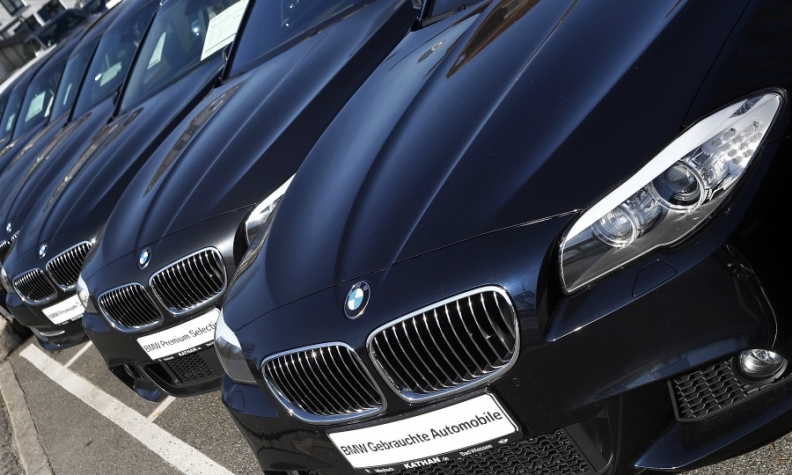 FRANKFURT -- BMW Group said it had made adequate risk provisions to cover a worldwide drop in used-car prices, while cautioning that it expects a slight decrease in return on equity from its financial services arm in 2017. A decline in residual car values can hit profits from leasing contracts. "As expected, used car prices worldwide, with the exception of Asia, decreased slightly, driven by seasonal factors," Chief Financial Officer Nicolas Peter told journalists in a conference call to discuss first-quarter results. "From today's perspective, we are well protected against residual value and credit risks," Peter said, adding this also applied to residual values of diesel vehicles. BMW's net credit loss ratio of 0.33 percent in the first quarter remains broadly in line with last year's low level, the company said. The carmaker said it expects a slight decrease in return on equity in its financial services segment this year, although it will remain above its targeted 18 percent level. BMW said its financial services portfolio managed 4.8 million customer contracts, and that 49.2 percent of BMW Group vehicles were sold using financing or leasing.